NEW CANAAN — A program that pairs students from New Canaan and Norwalk schools has been active for 26 years but is currently running on fumes and may soon cease to exist if alternate funds are not obtained. Bill Flynn, executive director of the New Canaan Nature Center, cited the state budget crisis for why funding had been denied. The Nature Center has received this grant from the state for 26 continuous years, according to Flynn. The educational program pairs up fourth-grade students from all New Canaan elementary schools with fourth-grade students from Norwalk elementary schools. The program’s goals are to increase the students’ awareness of “environmental issues” and to also “reduce racial, ethnic, and economic isolation” by connecting the students of different communities. The grant, usually in the range of $125,000 to $140,000, constitutes about nine percent of the Nature Center’s budget and covers all of the logistics, supplies and training required for the program. “This year we scrambled with emergency funding just to get the kids there and we are going to run the program for the rest of the year, but it’s a significant blow,” Flynn said. For now, a lifeline has been provided to the program. Margaret B. Chadbourne, an associate director at Horizon Foundation, confirmed that the organization provided the New Canaan Nature Center a grant of $7,500 to support its educational program. “We were so happy to be able to support the good work they are doing for children in the community,” Chadbourne said in an email. Horizon Foundation is based in Portland, Maine and provides grants to non-profit organizations that emphasize teaching and environmental awareness. 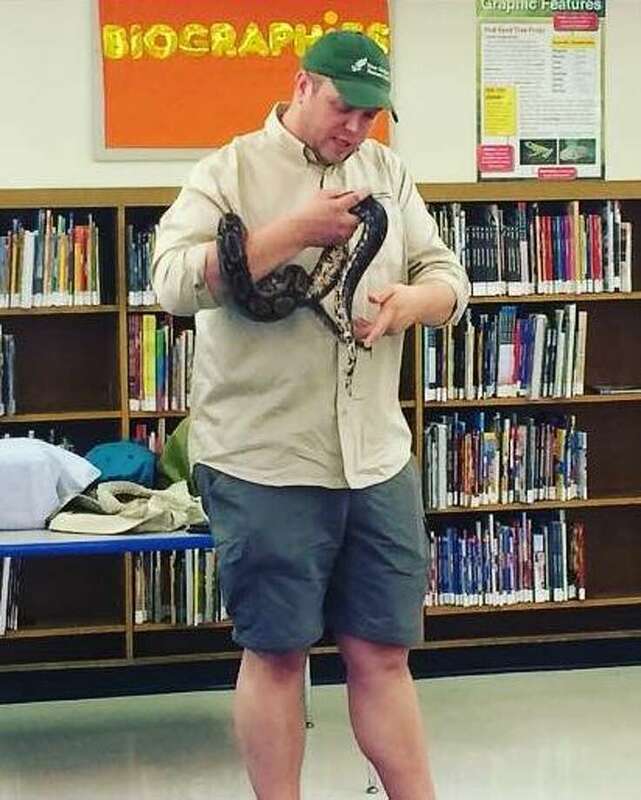 Last week, Chris Hendershot, director of education programs at the Nature Center, confirmed in an email that the second of three educational sessions included in the LINKS program had been cut along with afterschool programs for the rest of the academic year. A final trip to the Nature Center in either May or June for the New Canaan and Norwalk students would still be active. Flynn was grateful for the grant from Horizon Foundation but noted that they’re not out of the woods yet. “Horizon Foundation was able to supplement the busing for session one, and through a variety of other foundations and grants, we’re hoping to fund the rest of the year. As to the future, we’re in the planning process of accommodating for the eight to nine percent of the budget we lost by not getting this grant,” Flynn said. Asked if there could be a way for the program to continue without state funding, Flynn was uncertain but floated possible ideas.